The transformation of Singapore from a malarial swamp to one of the richest nations in the world is astonishing till today. Singapore is located strategically along the Straits of Malacca with the pro-business government, openness to foreign investments, along with some ingenuity that helped Singapore to leap forward over the past few decades. 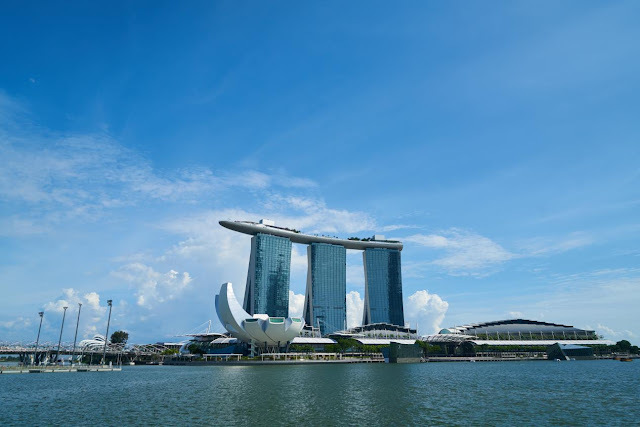 If you are considering to invest in Singapore’s property, it will equates to both strengths and dangers in the local property whether it is housing development board (HDB) property in Punggol or private condominium in Queenstown, Singapore’s property investment are at lower risk that yield lower rental, as low as 4%. Real estate values in Singapore have suffered downward pressure for the past several years. That negative trend will most likely continue during short term. Singapore is also known as one of the most expensive cities in the world too. The entry barrier is challenging where the minimum price of entry is far higher than most places. Optimists might say that Singapore’s lack of space and strategic location will drive property prices higher in the future, betting on a lack of supply. Singapore is comparable with cities like Hong Kong, Lichtenstein and Monaco where the real estate values are higher than Singapore’s. After years of remarkable growth, Singapore’s Gross Domestic Production (GDP) is now rising at a tepid status. Here’s something to ponder, is it worth to buy property in Singapore when there are other nearby countries growing at more than 7% annually with equally impressive rental yields? The answer is yes, for some investors. High net worth investors are looking for property to buy in a country with strong rule of law, almost no political unrest and a relatively stable currency that you may still strongly consider to invest in Singapore’s real estate market. Being a foreigner property investor, you can enjoy same rights as Singapore citizens when purchasing a non-landed property. For foreigners to own a landed properties under six stories tall, you will need government’s approval and required bureaucratic process that needed to prove your ownership to benefit Singapore. You can get the landed house by bringing in substantial amount of money to buy the land in eight figure dollar range. But it will get more difficult when it comes to taxation where foreigners pay higher tax rates than local and permanent residents. The tax when buying real estate is called Additional Buyer’s Stamp Duty (ABSD) which is payable on property’s purchase price. Foreigners must pay higher 15% on any purchase of real estate in Singapore. Click here for further details on property tax in Singapore. Singapore, being the smallest country comes with unique and vibrant neighbourhood worthy for investment, which includes different price points, vibes and accessibility to Mass Rapid Transit (MRT) stations. The proximity to facilities, amenities and town is the one of the most important factors to buy property in Singapore. MRT is a widely used transportation in the city, consider one of the world’s best public transportation systems. Though it is extensive with six lines around Singapore but it provides convenience for commuters to travel around Singapore. Properties that located near the MRT stations usually fetch higher price, even for rental rates too. When buying property, you will need to understand Singapore’s planning areas so you are able to set your budget when purchasing property for investment in Singapore. There are five regions in Singapore that comprises central region, east region, north region, north-east region and west region. Home to Singapore’s downtown and has some of the most expensive property. Places like Central Business District (CBD), Marina Bay, Orchard, Little India and Chinatown are all part of the central region. Due to it’s prime status, most developers are not willing to give up their land. Thus, most properties in the town are sold on leasehold basis - 99 years or 999 years. Located on the northern part of the island, Woodlands has become increasingly popular for expats and middle class locals. The Singapore Strait that separates the country from Malaysia are defined by parks, Singapore does have many parks and greenery. However, property prices around Woodlands are lower compared to central region. You might want to consider buying in city fringe areas if the value is a greater concern than location or convenience. Even property in Singapore’s isolated areas should appreciate over time. Areas like Punggol and Serangoon are sitting in the northeastern of Singapore’s suburbs. It is a convenient location between downtown and Changin airport and there are abundance of malls and other activities to become an active suburbs. Although it is located quite a distance from Central area but areas like Ang Mo Kio and Serangoon are close to Orchard, makes them upper-class neighbourhoods. Prices of the property is surprisingly quite expensive although it has not reach the central level yet. Jurong is vaguely known as the west of Singapore. Plentiful of housing area and one of the densest areas. This is because Jurong is known for it’s industrial area and multipurpose port that helps bring many factories to area. It is also worth noting that Jurong is a top educational hubs with Nanyang Technological University (NTU) and National University of Singapore (NUS). As such, landlords might want to consider that the west region neighbourhood is popular among students, especially foreign students. Most areas between downtown and Changi Airport are east region and that includes districts of Bedok and Tampines. Expats are increasingly choosing to reside in the east because of it’s easy access to Changi Airport, more suburban environment and not forgetting the beach! There are numbers of houses and other landed properties that’s easier to find in East Singapore. Families with spending power may consider living here. Thank you for the article. I know that property for sale in Singapore https://tranio.com/singapore/ is not that cheap if you compare it to prices in Thailand or Vietnam.